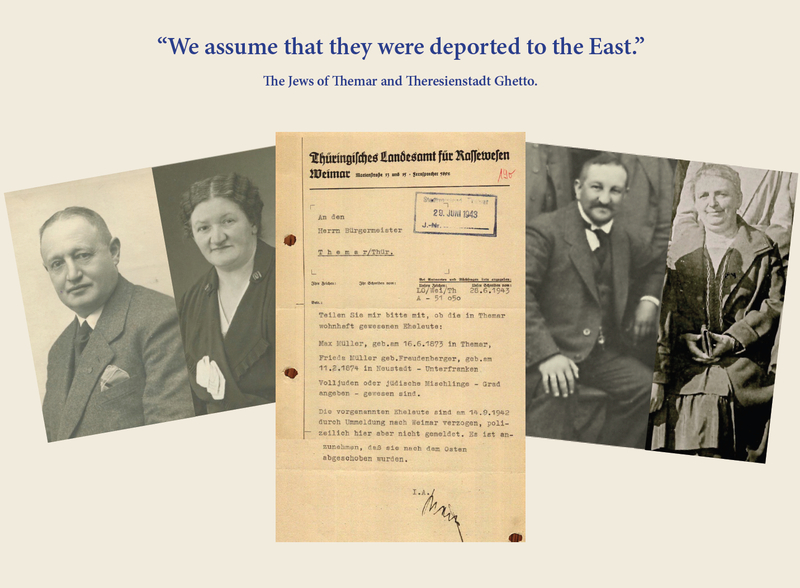 Between June 1942 and February 1949, 67 Jews connected to the families of Themar were transported to Theresienstadt. The first were Georg and Rudolf Gassenheimer, both born in Themar, with their wives, sisters Selma and Thekla (née Schwab). The last was Doris Lorenzen, née Frankenberg, born in Themar. 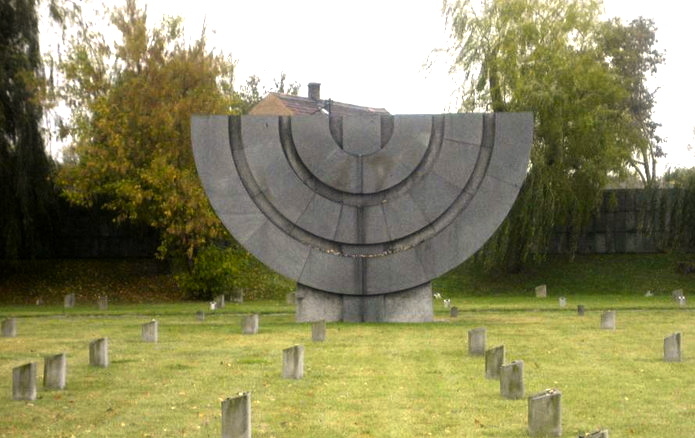 On 19 September 1942, eight (8) Jews were deported from the city of Themar: Meta Krakauer, née Frankenberg; Klara Frankenberg, née Bauer; Hugo and Clara Grünbaum, née Schloss; Max and Frieda Müller, née Freudenberger, and Markus and Else Rosenberg née Kahn. They were initially transported to Weimar and there herded onto a train with 357 other Jews of Thüringen. On 20 September 1932, they set off for Theresienstadt; 520 Jews joined the transport in Leipzig. The deportation train stopped in Bauschowitz as the ghetto itself did not have a train station until the summer of 1943. The prisoners had to walk the three-kilometer stretch to the ghetto on foot and under guard. In September 1943, the first two Themar Jews were transported to Auschwitz and 19 more followed in 1944. Five were women like Else Rosenberg, née Kahn, who was taken to Auschwitz after the death of her husband, Markus, to be murdered in the gas chambers and thus perhaps more quickly dead than in the Ghetto. where her ‘privileged marriage’ to a non-Jew had protected her from deportation until this time. She was 50 years old. These are the names of those men and women with connections to Themar who were deported to Theresienstadt Ghetto. September 4, 2012 in Research.